Get your eBook and "Flush Your Plumbing Problems Away"
If you are asking, "Should I call a plumbing professional or can I take on this project myself?" then this eBook will be a great tool for you. Find out which plumbing projects are an easy Do-It-Yourself and which projects you can be better off hiring a professional to do. 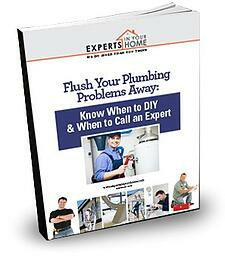 Download your eBook and get expert advice today!